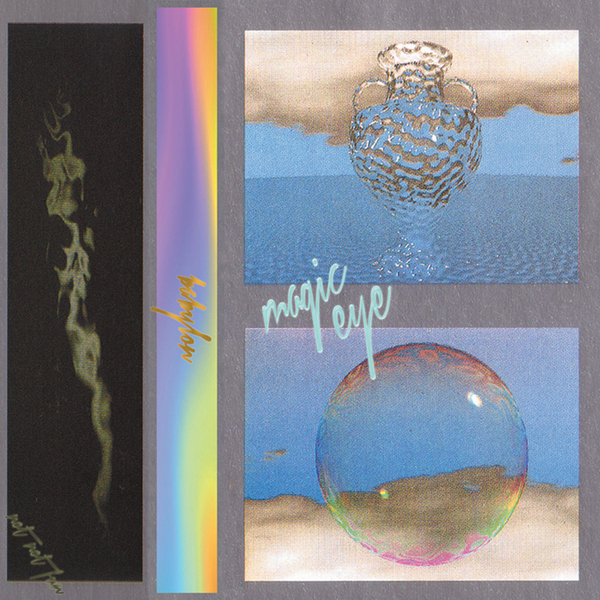 **Charming dream-pop for fans of Grouper and Forest Swords** "Co-ed Edinburgh Nyquil-pop trio Magic Eye have always favored a faded, falling-through-clouds songwriting mode but Babylon filters their opaque space-echo shoegaze through new narcoleptic fidelities, birthing their best collection yet. Comprised of Alex (guitar/programming), Bek (guitar/vocals), and Roma (vocals), they suffered the rite of passage indignity of recording their first set of songs at an overly pro studio, rendering the results grit-less and dried out. Fortunately they regrouped, salvaged the stems, and methodically pieced everything back together into a lusher, degraded haze. Later takes of a couple of these cuts surfaced on last year's Shreddin' On Heaven's Door cassette but the Babylon versions predate them, primordial heroin hanging in the sky, beautifully blurred, naked, and melting in the light. Mastered by Elvis Valentine."